The Ice Rink Company is pleased to offer FlexPost for the FlushMount shield systems. This is a revolutionary new concept in glass and acrylic shielding supports. When a player hits the glass the FlexPost support allows the glass to move away from the impact zone, and therefore could help to alleviate the threat of a concussion or injury to the able part of the body. To create the FlexPost, we took the rigidity of an aluminum shielding support and the strength and flexibility of a reinforced, state of the art, hot cured polyurethane; combined them at glass level and cured them in an oven at 225°C for 16 hours. 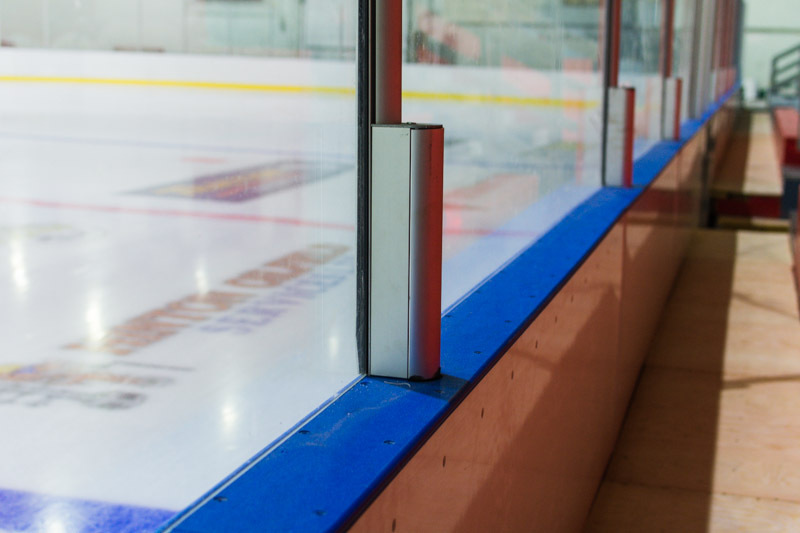 By combining the FlushMount shield system with the FlexPost for your next retrofit or new construction shield system, you will be taking a two-fold increase in the reduction of hockey related injuries.